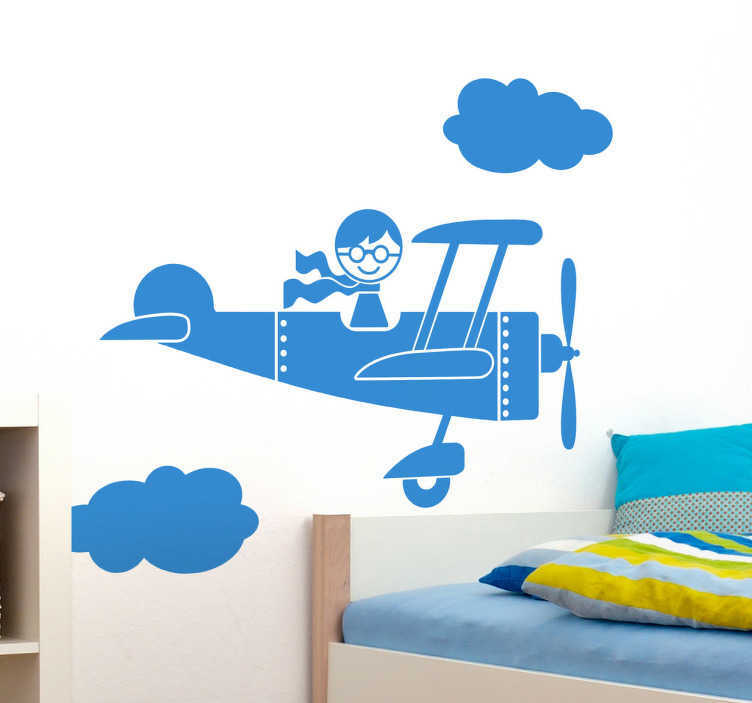 Kids Wall Stickers - Illustration of a young pilot flying through the clouds. Great for aspiring young pilots. Available in 50 colours and various sizes.